Find facts faster and don't waste your precious time searching for answers on google and being distracted by other trivia. 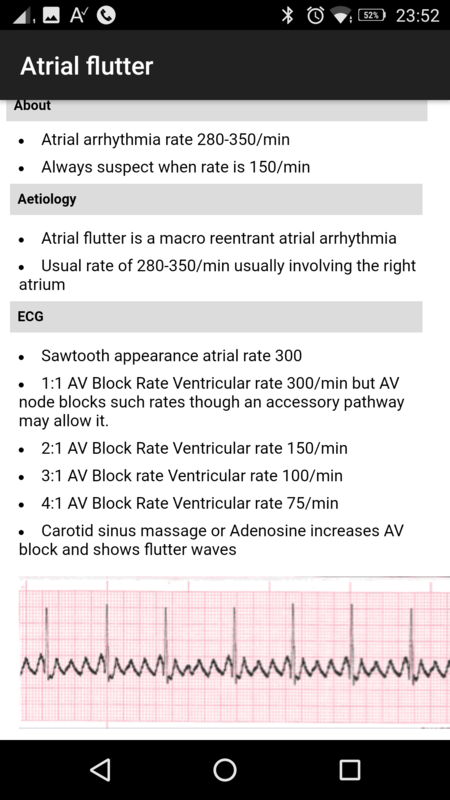 ABC Medical Notes Pro means that you can have all the important clinical and academic facts at your fingertips, whether on the ward round, in clinic or doing MCQs or preparing for exams such as Finals, MRCP or USMLE. 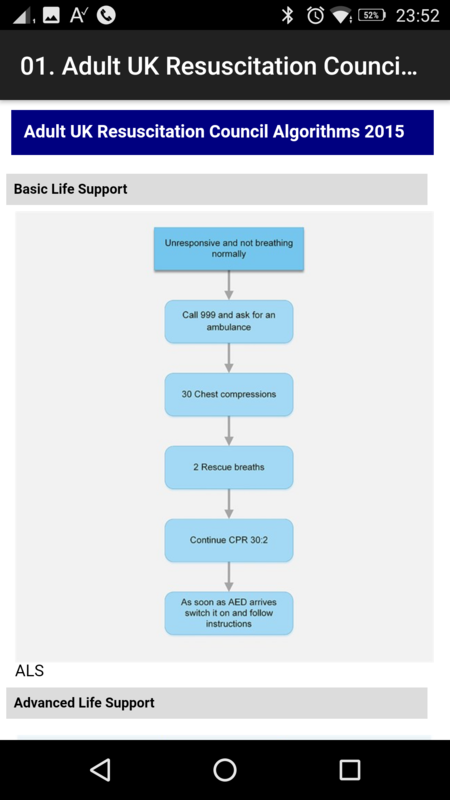 Use it at home or on the tube or on the bus revising or in the lift or long corridor going to see a patient. 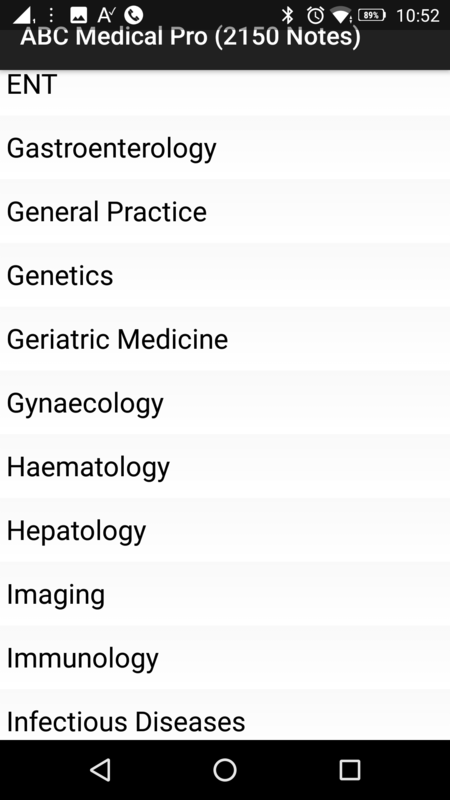 It has a fantastic search button which searches over 1500 pages of medical facts. We produce new content with planned updates. The Search facility means you can quickly do a search of all titles and returns all with the word in the title. 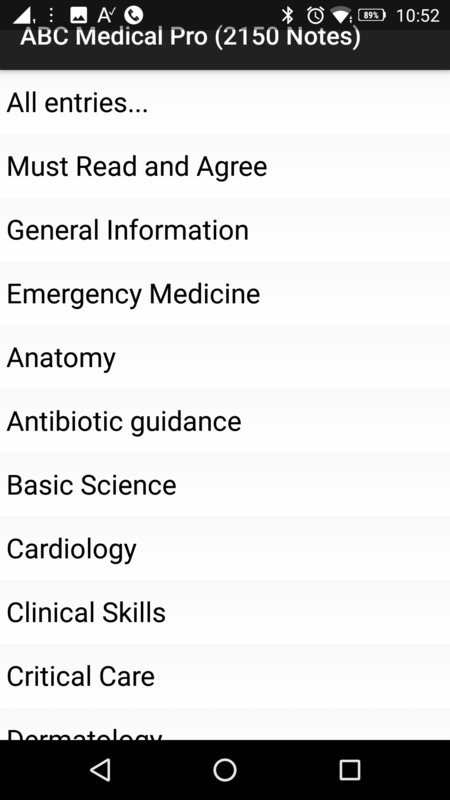 The Supersearch facility then allows you to searches the entire database of over 2020 detailed topics for that word and shows all the articles with that word. Very useful for rare and uncommon terms or very precise terms. 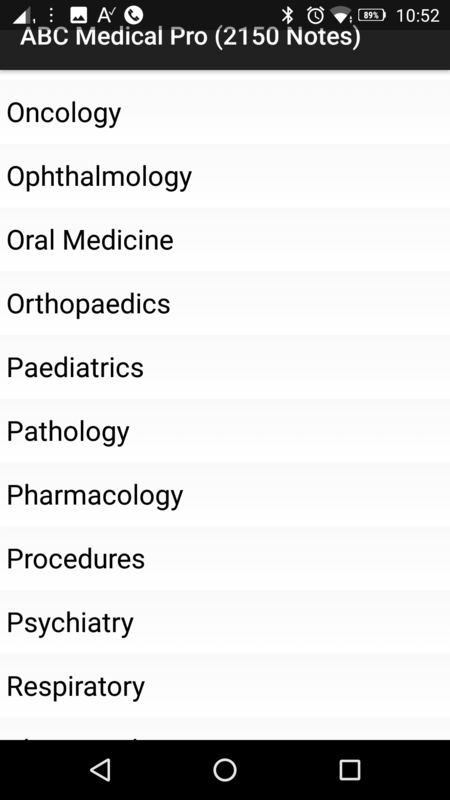 A collection of over 2020 fully searchable topics on your android phone for the ward round, clinic and for your own personal study for the one-off price of a cup of coffee. Will help your grades. Pharmacy students, nursing, specialist nurses and physicians assistants, paramedics and any advanced healthcare practitioner. It contains over 2100 drug, disease and management topics and basic science written specifically for you. Search by topics and subtopics you can quickly find what you need. We welcome any contribution or request for specific content to be added. It is not medical advice – if you are unwell or need advice then see a healthcare professional. It does not replace getting help or advice from an appropriate colleague if you are unsure what to do. Please see legal disclaimer. It had been impossible to maintain the business of developing doknotes as a free app without donations or other funding support as no one can work for free all the time so thanks to those who have upgraded to Doknotes pro. At a fraction of the price of equivalent textbooks such as the Oxford Handbook. 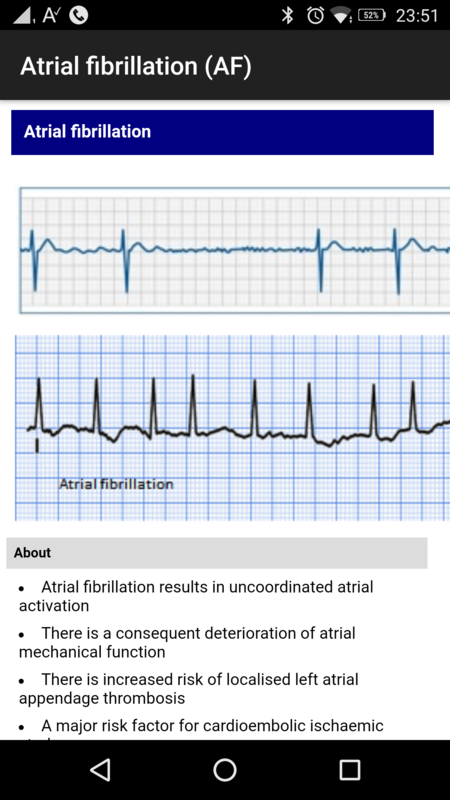 Collated with terms of aetiology, clinical presentation, investigations and management. 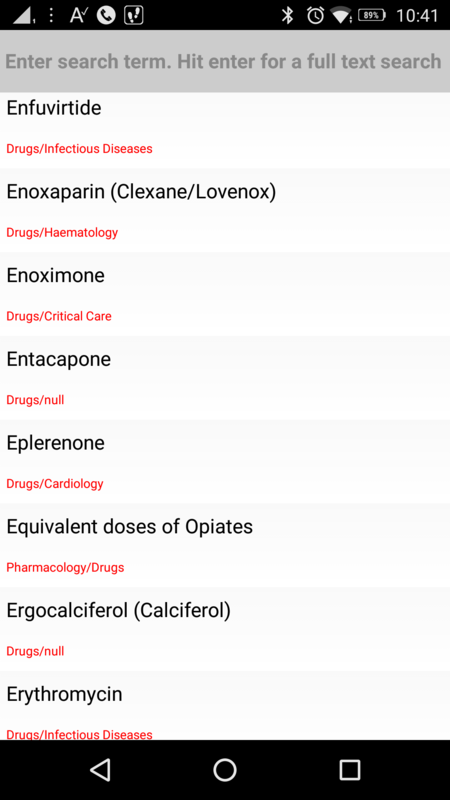 Contains over 200 medical drugs and a huge database of medical knowledge. Clinical pearls are highlighted. We produce more content daily and this way we can maintain a cheap and ready tool for students. This course is produced for all. Unauthorised duplication is prohibited.